Under the security legislation, praise for the North is illegal, punishable by up to seven years in prison, and displaying the country's red, white and blue flag is considered a violation. 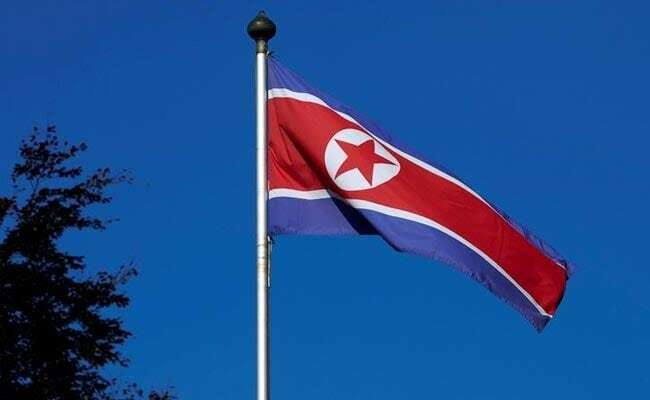 Seoul: North Korea's national flag was raised in the South Thursday for the Pyeongchang Winter Olympics, organisers said, after an exemption came into force to avoid breaching Seoul's tough national security law. The two Koreas are still technically at war as the 1950-53 Korean conflict ended in an armistice, not a peace treaty. But in order to comply with International Olympic Committee protocol that all competing countries' emblems are displayed, prosecutors have granted an exemption for Games venues, including award ceremony locations and official athlete accommodation. The exemption came into force on Thursday with the official opening of the athletes' village, organisers told AFP, where the North's flag was duly raised -- a day after all the others went up. From Monday, official ceremonies will be held welcoming each participating country's athletes to their accommodation, when their flags will again be hoisted and their national anthems played. South Korean military honour guards will be mobilised for the events, but civilian volunteers will be used for the North's ceremony on Thursday, organising committee spokeswoman Lee Ji-Hye told AFP. She did not give reasons but Yonhap news agency said it would be improper for South Korean soldiers to salute the enemy's symbol. The North's flag was first hoisted in the South in 2003 when North Korea sent athletes to the Daegu Universiade, and was run up at the 2005 Asian Athletics Championships and 2014 Asian Games, both in Incheon. It was also on display at a women's ice hockey match between the two Koreas last year in Gangneung. A total of 22 North Korean athletes will take part in the Games, including 12 members of a unified women's ice hockey team. The others -- a figure skating pair, two short track speed skaters, three cross-country skiers and three alpine skiers -- were due to arrive later Thursday.